Short of hopping over to your nearest Francophone town to chat up everyone around you en français, what can you do to keep your French skills sharp? Lawless French is a free website is packed with resources for students of French at all levels. 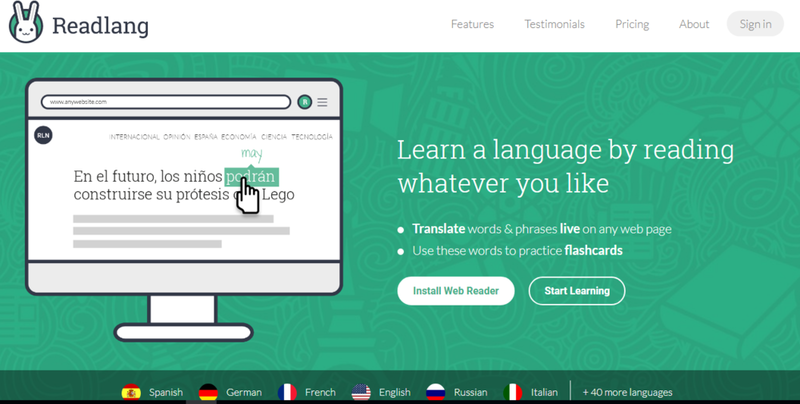 Find lessons and exercises by topic and by level and get language learning tips that work. Readlang is a reading-focused way to learn a language. The website offers interesting texts and videos with translation for every level. Plus, its browser extension allows reading or importing of almost any website and quick translation of words and phrases you see online. Try uploading or copy-pasting any digital text (even entire novels!) in your target language and read almost anything you can get your hands on. So, which other websites, apps or channels do you use to brush up your French skills? Share your favorites in the comments below! Newer PostVotre maison n'est pas sale. Pourquoi votre classe ?